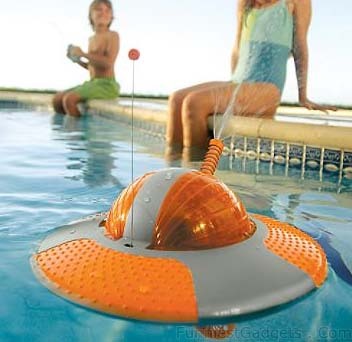 Engage in soaking skirmishes with this Radio-controlled Water. Full-function radio controller lets you direct these power soakers to target poolside opponents. « HandBra – Tired of the Wonderbra?